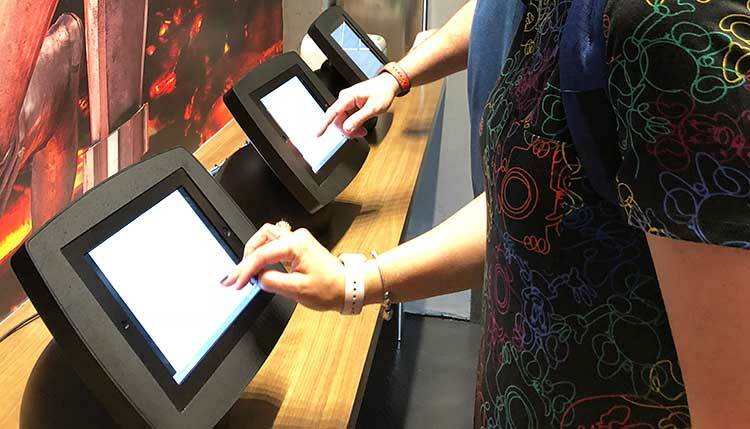 At the Void’s “Secrets of the Empire” in Disney Springs visitors have the opportunity to don virtual reality gear and enter a hyper reality world of a Star Wars adventure. 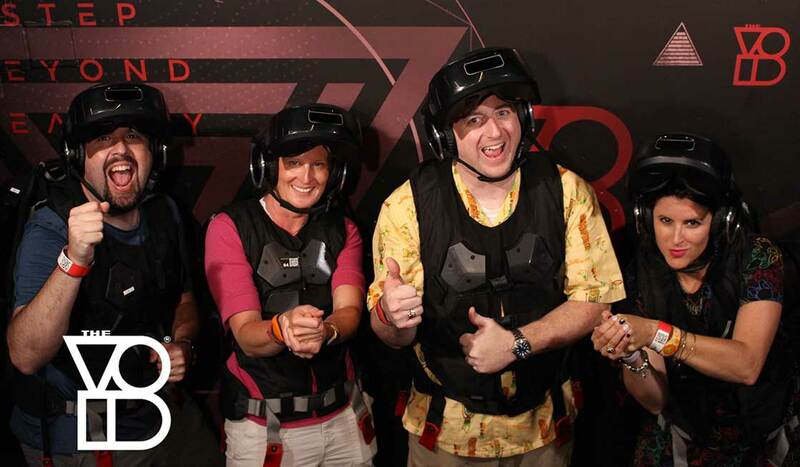 A TravelingMom and TravelingDad team stepped into this immersive world where they were disguised as Storm Troopers to embark on a rebel mission to capture Imperial intelligence. 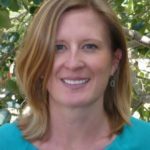 What did they think and would they recommend Star Wars virtual reality for families? As I sit down to write this article, I’ve just watched The Last Jedi for the fifteenth time. Friday nights at our house are family movie night. More often than not, we watch one of the Star Wars films. The request may come as “the one with the Ewoks,” or “the one with the kissing, but can we fast forward through that?” We have planned vacations around Star Wars (i.e. Disney Cruise with Star Wars Day at Sea). We may not be the geekiest Star Wars family out there, but we are close. So I jumped at the chance to experience “Secrets of the Empire” Star Wars virtual reality at Disney World. One doesn’t have to be a Star Wars geek to love this Star Wars virtual reality experience. “Secrets of the Empire,” the Star Wars VR experience, is not set in the Disney parks but rather is booked in advance at a location in Disney Springs. The upside to this is that you make an appointment and avoid any lines or crowds. The experience is not a part of any passes. The cost is approximately $30 per person, which is well worth it in our opinion. Participants must be 10 years or older. From check in to taking photos post “Secrets of the Empire” mission, it took probably a half hour with about fifteen minutes of that being the actual VR mission. What is the Star Wars Virtual Reality Experience Like? 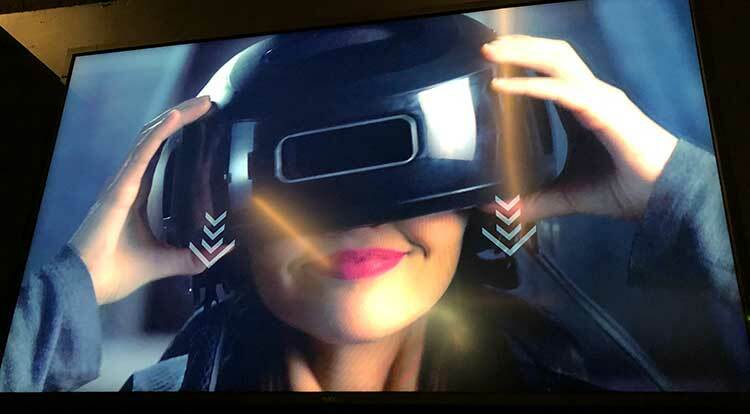 Once you have signed the waivers, you wait briefly to don the VR gear, test it out to make sure that your team can all hear each other, and then enter a virtual maze where you can see and hear each other. Our team all expressed a “Whoa!” all at about the same time as we saw our arms and legs and realized we were in Storm Trooper disguise. Then we looked around at our team members in awe, who also had morphed into moving, talking Storm Troopers. We felt the heat as the smell of ashes greet us when stepping off the skiff to infiltrate an Imperial base and seek to capture Imperial intelligence. We were all elated to locate blasters and fight a couple of lifelike battles against monsters rising from flames, as well as fight Storm Troopers and even one enemy upon whom our blasters scarily did not have any effect. I had to remind myself a couple of times that this wasn’t real. There were buttons that we could actually touch and doors that we could step through. We really felt as though we are in the midst of a Star Wars mission. Fortunately, the force was strong with our rebel mission and we were able to fight our way out after a few close calls. 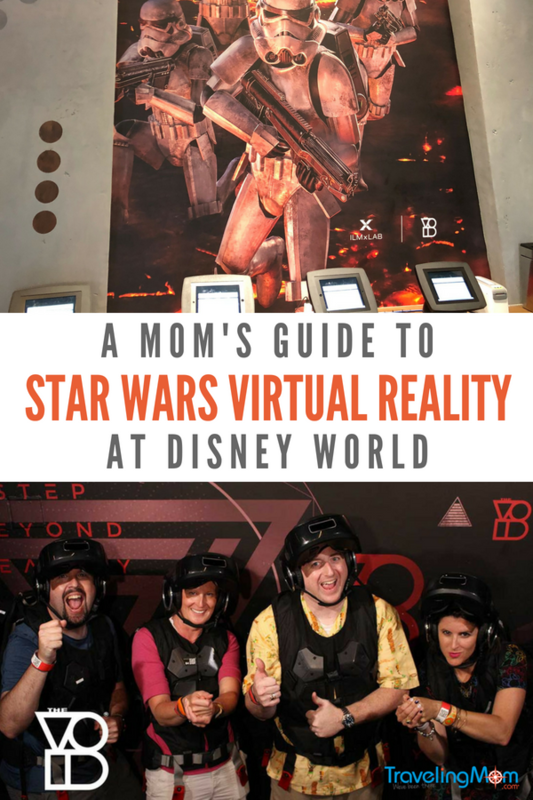 Is Star Wars virtual reality right for families? The answer is a qualified, “Yes!” To me, it was less scary than some of the other 3D rides our family experienced in Orlando. But the VR equipment is heavy. Both the helmet on your head and the vest on your torso are heavy. I don’t think too many kids under ten could comfortably wear the equipment. That may be the reason for the age limit. As I mentioned earlier, there were also moments when I had to remind myself that it wasn’t real. So it could be hard for younger kids to realize that it isn’t real. My daughter is about to turn ten and I would have no hesitation in taking her, and probably will the next opportunity I have. I am confident that she would absolutely LOVE it. Also, you have to work as a team on the mission making it a social and bonding experience. What better way to play with your Star Wars loving family?! Looking for Star Wars experiences for younger kids? Jedi Training at Hollywood Studios and aboard the Disney Cruise Star Wars Day at Sea is a really special experience for younger kids. They have the opportunity to train as young Padawans and even briefly fight either Darth Vader or Darth Maul. Black Spire Outpost is the village inside of the upcoming Star Wars: Galaxy’s Edge at Disneyland and Walt Disney World. As the largest settlement on the planet Batuu, Black Spire Outpost is an infamous stop for traders, adventurers, and smugglers traveling around the Outer Rim and Wild Space. 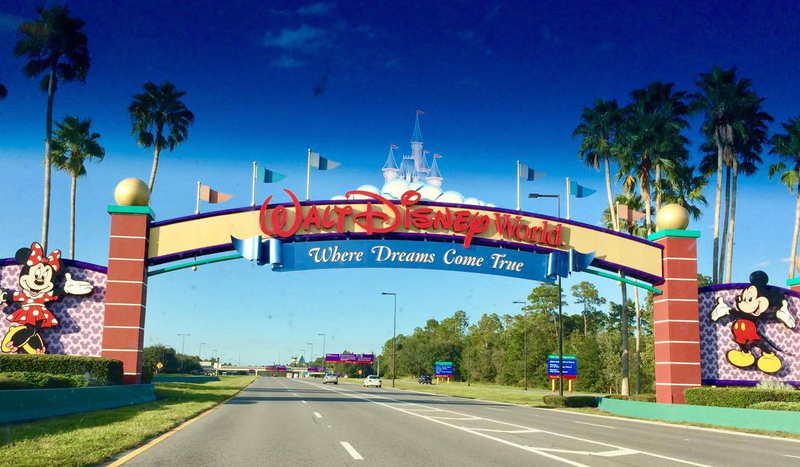 Photo courtesy Disney World. Does “Secrets of the Empire” Give any Insights to What is Coming with Galaxy’s Edge in 2019? So does the Void Star Wars experience give visitors a glimpse into what to expect at Star Wars: Galaxy’s Edge? Galaxy’s Edge opening 2019 in both Disneyland and Disney World has been billed as “ultra-immersive.” How much of this type of VR will be incorporated at Galaxy’s Edge, if any at all? There’s no way to know. But Galaxy’s Edge is supposed to give fans the opportunity to live their own Star Wars stories. And, “Secrets of the Empire” certainly accomplishes this. Where else can fans experience “Secrets of the Empire”? Don’t live near Disney World in Florida? You and your family may still be able to enjoy Secrets of the Empire. Other VOID locations around the country give people access to this who may not be able to make it to Orlando. Families can experience the Void’s “Secrets of the Empire” in Anaheim, CA; Glendale, CA; Las Vegas, NV; and London, UK, in addition to Orlando, FL. 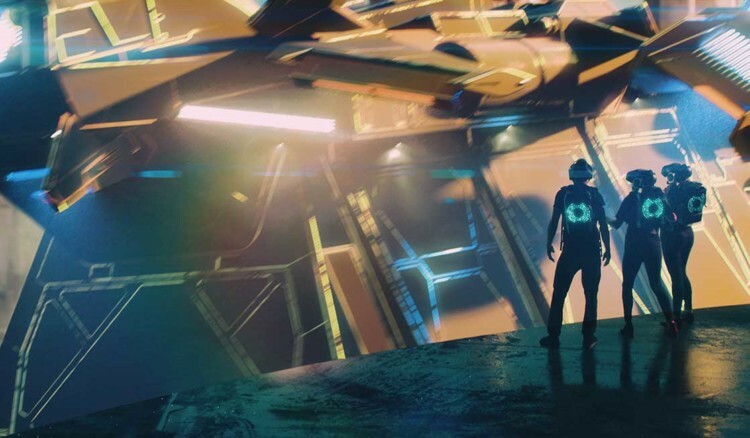 Any chance to experience virtual reality is a good idea. No need to let the future arrive without having inside knowledge of how it works. This from a traveling grandmother.